Founded in the 5th century, Tbilisi is the capital and largest city of Georgia. At an impressive 10 times the size of any other city in the country, it is certainly where it all happens. It's a place that truly encompasses the stark contrast between the East and the West all at once. 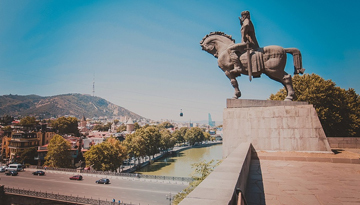 Its complex history includes being ruled by the Mongols and the Soviet State, and this is beautifully apparent when looking at the city's stunning architecture. From medieval churches, including the 6th century Anchiskhati Church, to the dominant, imposing structure of the Bank of Georgia Headquarters (which looks as though it has been built out of Tetris blocks), the city certainly isn't short on sights. As well as its vibrant historical background, the cultural, economical and social gravity of Tbilisi establishes it as a modern city. Its extensive nightlife is growing all the time, along with the extensive range of hotels and eateries, and it is fast becoming a quaint little tourist trove. 5 star hotels have popped up and brought with them other mod-cons, such as shopping malls. All in all, Tbilisi is sure to offer something for everyone. KLM airlines offers a cheap flight tickets to Tbilisi from London Gatwick at just £209 return. Book Now. 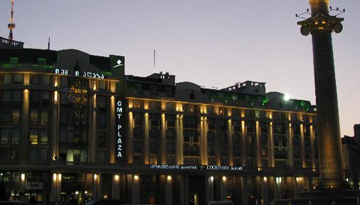 Stay at the stunning Courtyard by Marriott Tbilisi Hotel in October from just £116 a night. 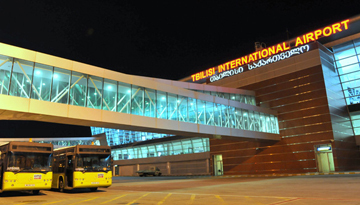 Fly from London - Tbilisi & Stay for 7 nights with 4 star accommodation. Room Only.